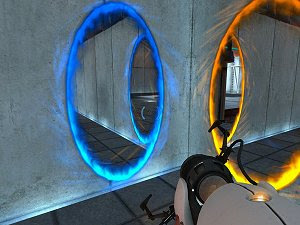 Portal, the fantastic puzzle game from Valve, is free to download until May 24th. Don't miss the opportunity to get one of the most acclaimed PC games of recent years for free! You'd think that, especially since it actually won over 70 Game of the Year Awards. But, like we keep saying, Portal is free. Free on the Mac. Free on the PC. But only until May 24th.